MBBS from Govt. Medical College, Nagpur University, passed in 1994. Trained in Pain Management and Cancer Palliative Care. Worked as Medical Officer in Cancer Palliative Care for 4 years. Presently working as a Research Medical officer with Dr. Arvind Chopra, Director & Chief Rheumatologist, Center for Rheumatic Diseases, Pune. 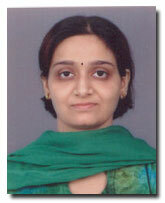 AWARDS: Recipient of Shri Amrut Mody Unichem – BJD India Research fellowship Award 2003 – 2004 for the study on Juvenile Arthritis in the Indian Children.